Hunter Welch, owner and builder of FishStix Rods. Thanks for doing this interview with us, Hunter. Tell our readers about your self and how you got started building fishing rods. My Name is Hunter Welch, growing up in East Texas, I have always had a passion for fishing. My twin brother and I grew up fishing at a private pond for most of our childhood and occasionally some lakes. As I became a teenager I began to wade fish at Rollover Pass in Bolivar, Texas. It was actually my now father-in-law that got me started. I fell in love with saltwater fishing and learning the different techniques that is required to catch fish; including how to choose the perfect fishing rod. After my wife, Liz, graduated from UT Tyler, we moved from east Texas and settled down in Bayou Vista. It was there that I began to build rods as a hobby. When did you start FishStix and why? When I had the idea for FishStix, I hit the ground running. I built several rods without a label or even a “brand.” I started concentrating on creating a name that was catchy, and I thought of “FishStix.” From that day the label was there, the logo was there, and all I had to do was push the brand. Almost 4 years ago, I legally filed FishStix as a business. In the beginning, FishStix was a part time job/hobby. At the time I was going to school, and I was a stay at home dad to my 2 small children. My first time to sell rods to the public was at Bay City on the Square which is where businesses set up tents and sell their items once a month. I first attended with 6 FishStix rods and sold 3 of them. The next month I sold 3 more. I attended Bay City on the Square every month for a year until finally I attended the Houston Fishing Show in March 2015. It was then that we were able to sell a lot of rods and visit with a lot of people. In the beginning, I never thought of myself as a salesman and I certainly never thought of FishStix as “the premier rod.” As months turned into years, being a salesman and selling the rods is what I enjoy most. I love to hear customers’ expressions when they feel how light and durable the rods are. I love to hear their stories of all the catches that they had, and to see them comeback and shop with us as a repeat customer. I tried to start my business on the very basic principles of trust, respect, and honor. I have always dreamed big, so as time went on FishStix became a never-ending goal. Today my goal is to sell more rods this month than I did this time last year, talk to more people this month than I did this time last year, watch people enjoy our products, and to eventually have a FishStix in every household across the USA. Like I said, “dream big”. 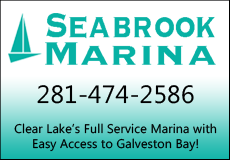 Starting out, I never thought that I would be doing an interview for a very popular magazine like Gulf Coast Mariner, but by the grace of God, and our great customers, we are able to stay relevant and we are able to keep providing the best customer service and the best fishing rods on the market today. What makes FishStix rods unique? 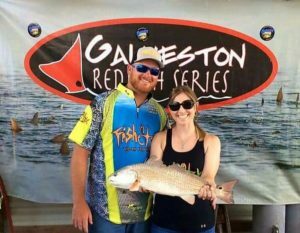 FishStix rods are hatched and spawned in Galveston County. Every rod that I build is in Hitchcock, Texas. FishStix is unique because it is truly a grass roots business that started from ground zero and we are working our way to the top one rod and one customer at a time. Our rods are unique because of their loud colors, their durability, their comfort, their performance, and customer service. If you’ve ever seen our rods the first thing you notice is the colors. We pride ourselves on going outside the box when designing the rods. We custom paint the rod blanks and have even hydro dipped custom patterns on the rod blanks. Our saying here at FishStix is “FishStix is the lightest in their class and the brightest in their class!” We use and have even led the way when it comes to using neon colored thread wraps on custom fishing rods. FishStix rods are durable because of the quality rod blanks that we use in all of our models. Our rod blanks offer the sensitivity to feel every bite, and have added strength for brute lifting power. We use only the best components for added durability. I take pride in our micro guide technology. The micro guides that we use are insert free so that you can fish all day knowing that your insert will not crack, chip, or cut your line. FishStix Rods are comfortable because of their weight. Depending on the rod model you use, most rods weigh between 2 and 3 ounces. They are lightweight because the micro guides that we use are 83 percent lighter than standard guides. FishStix are also lighter because of the split grips and the split reel seats that we put on all of our rods. I’ve had hundreds of people telling me how using our rods have made them be able to enjoy fishing longer without hurting afterwards because the rod is so light weight. The FishStix out performs other rods because of the micro guide technology that we use. With the micro guides you will achieve further casting distance with less backlash and less wind knots. We also have built on measurement marks for you to measure your fish by holding it up to your rod so you don’t have to worry if a fish is legal or not. The sensitivity of our rods is what really sets our rods apart from the competition. Because of the micro guide technology, we are able to keep a lot of weight off of the blank which makes the rod more sensitive. The split reel seats are as good looking as they are functional with casting and spinning models up to 54% lighter than conventional reel seats. These seats allow full contact with the rod blank and maximum blank exposure for the ultimate in sensitivity and control. Lastly, we are unique because when you buy one of our rods, instead of helping out a giant corporation you are actually supporting a family and children that rely on it. You are helping a community, local schools and local clubs that we donate time and effort to. 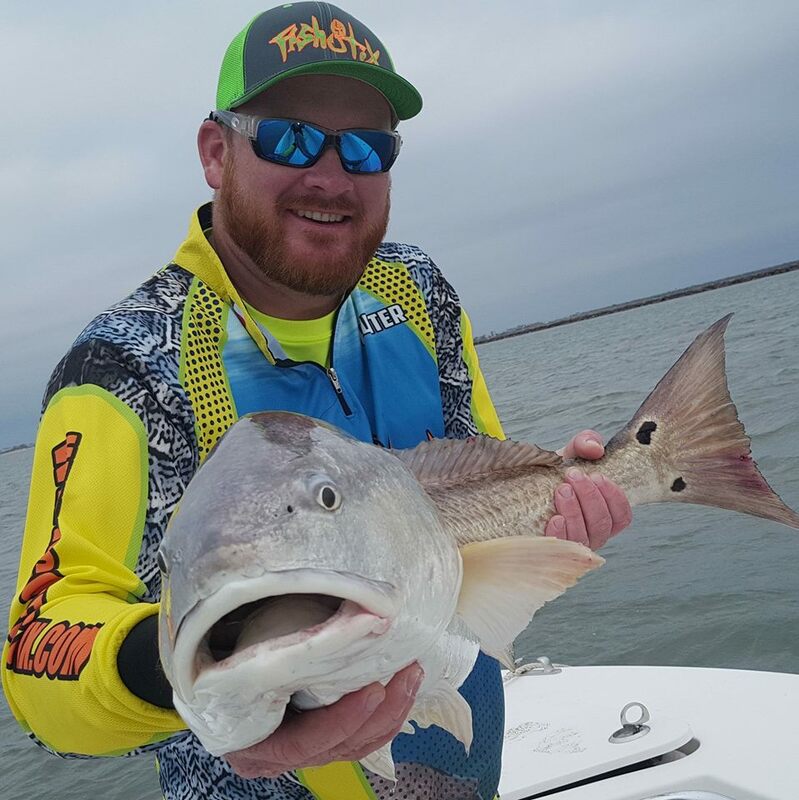 Which FishStix rod is best for catching trout, flounder, redfish, etc? We build a variety of rods and most people prefer different rods for different types of fishing. I consider our rods to be situational rods. Most people don’t always pick a rod for what types of fish that they want to catch but rather, they pick a rod based on what types of baits they want to throw efficiently. For example, I recommend our 7’ M/L to anyone that throws tails only. I recommend the 6’6” M/L to anyone who wade fishes and throws artificial lures. I recommend the 7’ Medium or the 6’6” Medium to anyone who wants to have an all-around rod to throw most any bait that can be thrown in the bays or lakes. I recommend our 7’ M/H to anyone that wants to throw heavy spoons and popping corks. When I am fishing for trout I fish with tails and always use the 6’6 M/L because of its lightweight and durability. When I am fishing for flounder I use the 6’6” Medium because of its backbone and sensitivity. I like plenty of backbone in the rod whenever I am flounder fishing so that I can set the hook through the flounder’s face which is made predominantly of bone. I like to use my “DrumStix” when I am fishing for redfish. The DrumStix is a 7’ Medium Heavy rod that I use to throw popping corks. All of the big fish that I catch offshore or at the jetties are caught on our all-around big fish rod known as the “MVP” (Most Valuable Pole). Do you make custom rods? If so, how can someone get a hold of you to start that process? We make custom rods to best fit your style, your feel, and your budget. I take pride in asking questions to best understand your needs for your next rod. We custom fit each rod to the specific person who is buying that rod. Whenever you get ready for your custom rod you can call, email or leave a message on our website. Where can our readers purchase a FishStix rod? 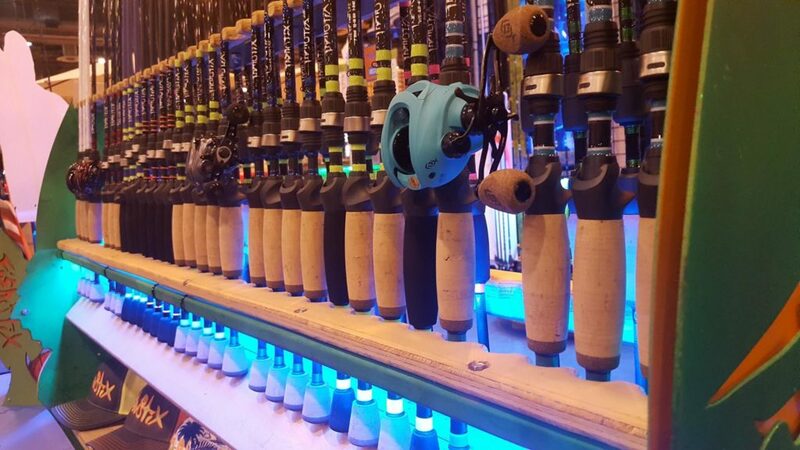 You can purchase a rod from our website, you can come by our shop in Hitchcock (by appointment only), or you can see us at any of the major tradeshows in your area. We do have several retail stores that carry our products. 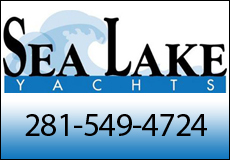 Please feel free to call or message us and we will make sure we can send you to the closest location that best suits your needs. Does FishStix host any tournaments? We host the “Who’s Your Flattie Daddy?” Flounder Fishing Tournament every year in October. This past year and for many years to come we have teamed with Coastal Brigades to raise money for their kids’ camp that they host every year in the summer time. 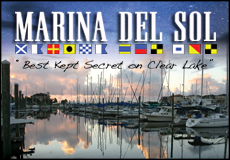 Our tournament is the largest flounder tournament on the Gulf Coast. 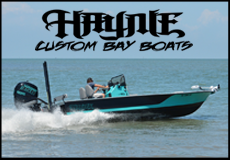 This past year we gave away a Dargel boat at theweigh-in and over $13,000 in prize money. You can find out more about our tournament on our website. What can we expect to see from FishStix in the near future? In the future for FishStix you will see us more often at tradeshows nationwide. You will find us in more stores closer to you, and you will see more options from us that push the limits of where any fishing rod has ever gone before. Stay tuned!